This virtually perfect little movie, shot inexpensively and even using some amateurs in the cast, deserves far greater exposure. Here is a wry yet sympathetic look at the human condition, and also the great role that music, in many forms, can play in life. 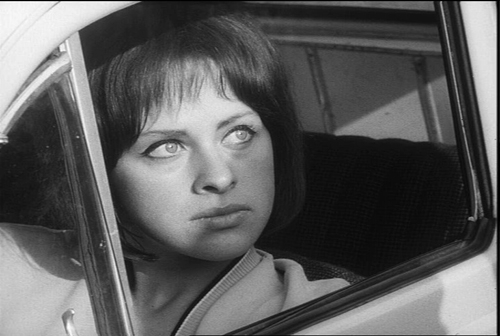 Filmed in 1965 and released internationally in 1969, INTIMATE LIGHTING (INTIMNI OSVETLENI) was an impressive first feature from Czech director Ivan Passer. A young Prague cellist (Zdnek Bazusek) and his sophisticated girlfriend (Vera Kresadlova) visit some friends in a bucolic village. The cellist has also been engaged to solo with the town's rustic orchestra. In a gentle, anecdotal fashion, the film compares the streamlined urbanity of the visitors with the homely simplicity of the villagers. In Passer's eyes (and, as it turns out, the audience's) it is the more tranquil country life that wins out. INTIMATE LIGHTING won the Cannes Youth Prize and a special award from the American National Society of Film Critics. It also proved to be Ivan Passer's last Czech film; he left the country after the 1968 Russian invasion and eventually resettled in the US, where he turned out such films as LAW AND DISORDER (1974) and CUTTER AND BONE (1985).